Mel commenced her role at UNSW Rural Clinical School in late 2012 and is a key element within the Wagga Campus. She works closely with the Head of Campus, Associate Professor John Preddy to support the operations of the Wagga Campus and enjoys coordinating and managing the effective administration of the Medicine program. Mel was born and raised in Wagga Wagga and has worked in a diverse range of industries during her professional career, including Charles Sturt University within the School of Dentistry and Health Sciences. She is very enthusiastic about meeting the administrative needs of students and academic staff within the university setting. 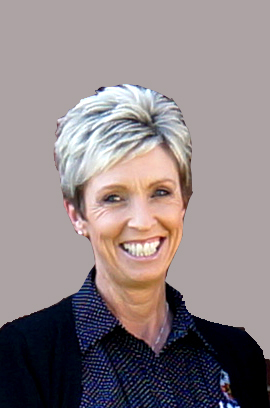 Mel’s interests include walking, gardening and in particular a love for renovating homes. Andrew studied Medical Imaging at CSU Wagga Wagga. Studying 3 years as an undergraduate at CSU prepared him for the health workforce where he undertook a professional year plus another year and at Wollongong Hospital Medical Imaging department. Andrew has worked on and off at the Wagga Wagga Base Hospital for the past 9 years, with 3 years spent in between at CSU as a lecturer and Clinical Coordinator in Medical Imaging. He holds a Masters degree in Public Health and very much enjoys working with and teaching a wide variety of health practitioners.